This is the last botting in this package before the new 2017 redesign. 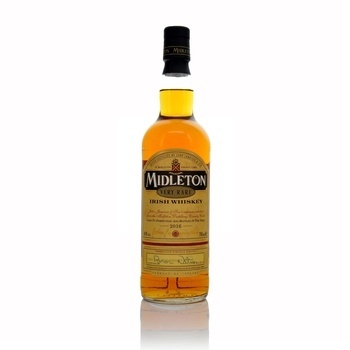 Midleton Very Rare is one of the most exclusive whiskeys ever produced in Ireland. Exclusively matured in American oak barrels, this whiskey is only available in strictly limited quantities as just a small number of casks are personally selected by the Master Distiller, Brian Nation. (Prior to 2014 the Master Distiller was Barry Crockett). 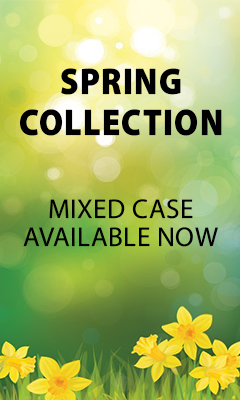 An annual selection since 1984 and thus, very collectable, each bottle is individually numbered and bears the signature of the Master Distiller as a final guarantee of outstanding quality. This product is excluded from further discounts. I bought this as a gift for my boyfriend. He doesn't normally like Irish whiskeys but loves this bottle! In my experience, no other retailer matches the level of service provided by KMW Wines & Spirits. Just as important, prices are very competitive. Another very satisfactory purchase and quick delivery to Cumbria. Thank you.